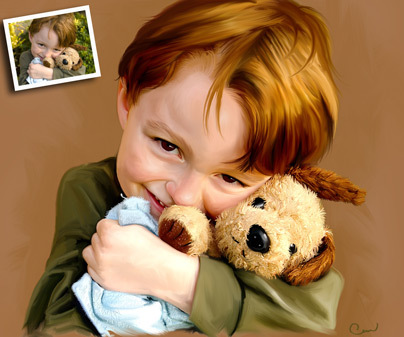 Our talented artists create a digitally hand painted portrait using your photo. 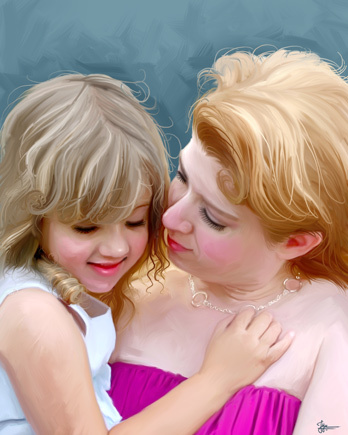 The detailed brush strokes are very evident and the focus is directly on the subject(s). The true oil feel is enhanced with a Giclée print on either artist paper or canvas. This effect cannot be achieved with filters.